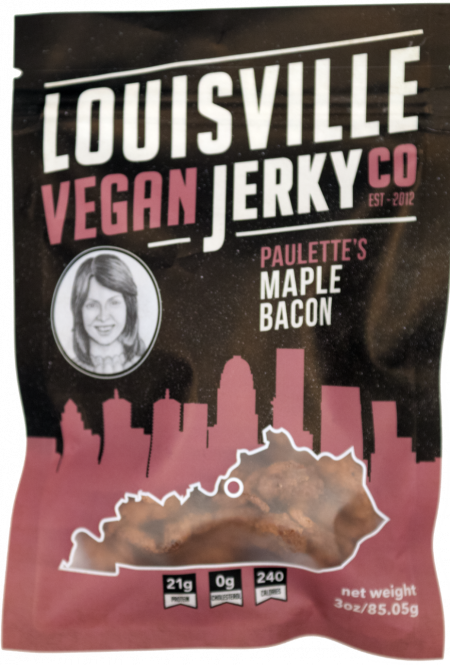 Louisville Maple Bacon is a non-GMO soy jerky, marinated and slow dried with a subtle smokiness and maple syrup sweetness. Bite size pieces. Medium chew. 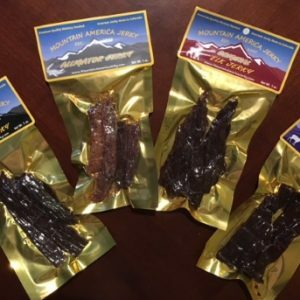 Louisville Maple Bacon Vegan Jerky is a handcrafted vegan jerky, with 12 grams of non-GMO soy protein per bag and gluten free. 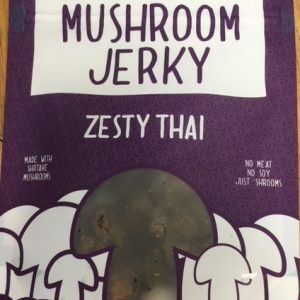 Ingredients: Textured soy protein, tamari, maple syrup, olive oil, vinegar, beet juice, brown sugar, black pepper, paprika, lactic acid, natural smoke flavor. 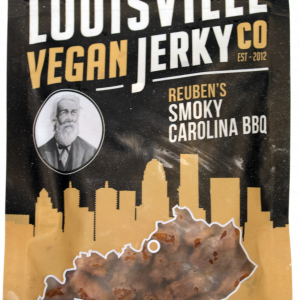 Louisville Smokey Carolina BBQ is a non-GMO soy jerky, marinated and slow dried. Seasoned with an award winning authentic sweet tangy Carolina mustard BBQ sauce. Mild heat level. 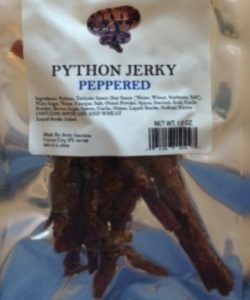 Bite size pieces. Medium chew.